A Brief Stay at Earth Human Camp: Book 1 of the Secrets of Farbookonia by Marie C. Collins is a highly entertaining science fiction romp for pre-teens, teens, and really, it can be enjoyed by people of all ages. The two main protagonists of the novel are home-schooled pre-teens, a brother and a sister, but with a few key differences, ones that make this book a very fun and entertaining read. The brother and sister siblings, Anne Reade, 12, and Atticus Reade, 10, are different in one respect because they have spent their entire lives home-schooled and living with their parents, but in isolation from everybody else in the world, “sheltered…from the outside world since birth,” except for their “right hand man,” their groundskeeper. Also, when they finally get the chance to be away from their parents for part of a summer, it is when their parents send them to a sleep-away camp in a remote, forested area of New Jersey, the Pine Barrens. A Brief Stay at Earth Human Camp, as the novel will be referred to throughout the rest of this review, focuses a lot on the difficulties that the pre-teen siblings face at the camp when they are integrated into a very unique society. Anne and Atticus’ dysfunctional mother, Cameo, is, herself, from another planet, which was probably one of the main reasons why the two children were raised in such isolation until they are shipped off to the summer camp, called Camp Wannabelikeum. Their father, Einstein, is a human, who is wrapped up on working on some sort of special technological project. 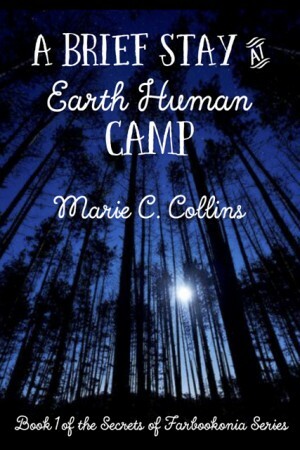 There are tons of cool ways that the author, Marie C. Collins, uses to play with the format of writing A Brief Stay at Earth Human Camp, such as introducing all of the main characters before the first chapter even begins by using a Camp Roster. The attendees are listed according to their age groups and other factors, with, for example, Atticus being in the Timber Rattlesnake group, of children in the 10-11 age range. 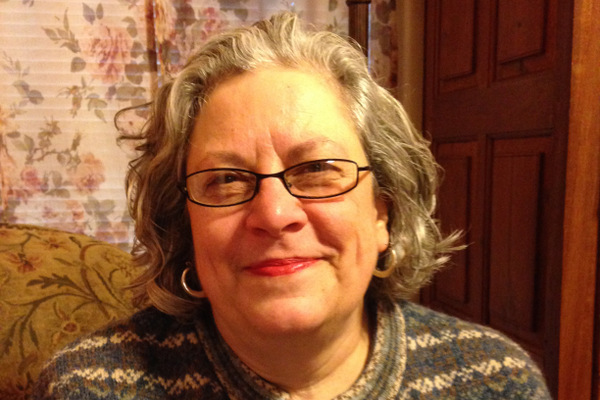 Anne Reade is in the older Bobcat group of campers, made up of children in the 12-13 age range. While the author relates the individual stories and difficulties that the Reade siblings face at the camp in A Brief Stay at Earth Human Camp, she also writes about some of the lives of the other campers, and includes the ways that they deal with the difficulties and other campers that they encounter that summer. The experiences that the Reades and the other children at the camp have are entertaining and engrossing. What they think of the camp director and what they do to deal with that situation is another fun aspect of the novel. Like at most summer camps, there are children at Camp Wannabelikeum in the novel A Brief Stay at Earth Human Camp who like to pull pranks and enjoy showing off. The author describes these moments in vivid and imaginative detail, as well as some of the unusual foods that some of the children eat while attending the camp, from their home countries. A Brief Stay at Earth Human Camp: Book 1 of the Secrets of Farbookonia by Marie C. Collins is a novel that will hold the attention of readers from the beginning to the very end, and — as the title indicates — this entrancing novel is just the beginning of a series of books that the author has in the works, so fear not, there is more yet to come. The book is a great introduction to the lives of Anne and Atticus Reade, and it is a highly enjoyable novel that will likely appeal to a broad audience.